My 7720 which I have owned for years decided to throw a wobbler last week and now when I turn on the power nothing happens other then lights appear, no fan, no screen, no beeps. If I remove the RAM I get beeps and I can press D when it starts for the display check which it does before going back to a black screen. I have tried a few methods using a 2GB USB and a bios to reflash the bio. The USB flashes and the fan spins up but it doesn't reboot and the lights stop flashing. RE: Dell 7720 bios corruption, unable to reflash, help please! A corrupt BIOS will send a set of single-beep errors. Remove the battery, unplug the system, and hold the power button for 30 sec. Remove and reinstall both memory modules and the hard drive. Leave the battery out and plug the AC adapter only into the wall. The LED on it or on the DC cable should come on and stay on. If it doesn't, replace the adapter with a new one. Plug in the system end. The LED should stay on. If it doesn't, there's a short in the system - commonly with the DC jack, but it can also happen with the USB ports (check to make sure the pins in the USB ports are not shorting the port). See if the system will power up - it it will, but won't with the battery installed, replace the battery. If it still won't power up, the mainboard is toast. When you remove the memory modules, how many beeps in a cycle are generated? Press and hold the fn key + power button to turn on the system and it should initiate the diagnostics. If you encounter an error, listen to the exact # of beeps in a cycle, this should help isolate the source of the issue. If nothing works, then I would suspect a motherboard failure. 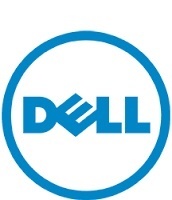 Presuming there is no warranty, you could contact our team to get a quote for a paid service call - http://dell.to/1vnT6CQ. Personally, I would suggest you invest your money in a new machine than to repair an old system. However, this is your discretion. The power unit lights up and remains on when you plug it in and turn it on, no shorting. A bios which is bricked will also not error beep single beeps and since I can still press D for display, get two error beeps if I remove the memory and press end + power to make the laptop start into bios recovery mode would suggest it's not toast. Thanks for the ideas. Have you got any more or at least a known working bios recovery? I get two error beeps if I remove the memory modules. If I press the power and FN key, nothing new happens, the power button lights, the quickset keys light up and and go up and down so to speak but nothing else. What's the difference f the bios was bricked, does fell not have a proper bios recovery method?? Did a BIOS update fail on the system? If a hard reset as described above doesn't help, and the problem developed spontaneously - and in the absence of the BIOS beep code -- this isn't a BIOS issue. It's a bad mainboard. Both ejn63 and myself, have isolated the issue to be a failing motherboard. I have found a blog with BIOS recovery. While some customers have reported the issue has been resolved by following the blog, many others have reported it does not work.